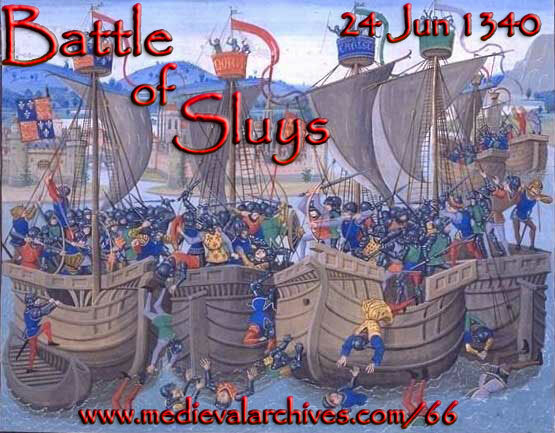 The Battle of Sluys was the first major battle of the Hundred Years’ War. 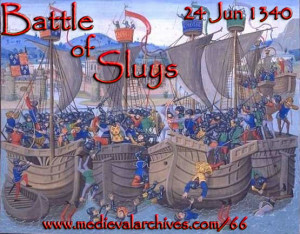 There were a few battles before it but nothing that compared to the size and ramifications of Sluys. The Hundred Years’ War was a series of wars between England’s Plantagenet Dynasty and France’s House of Valois and lasted 116 years! The main cause of the war was the rightful rulers of France. In 1328 King Edward III of England was the closest living mail heir to the French throne. However, when King Charles IV of France died Edward was passed over for a more distant relative Philip of Valois.